We value our client’s trust and believe in the principle of truthful advertising. 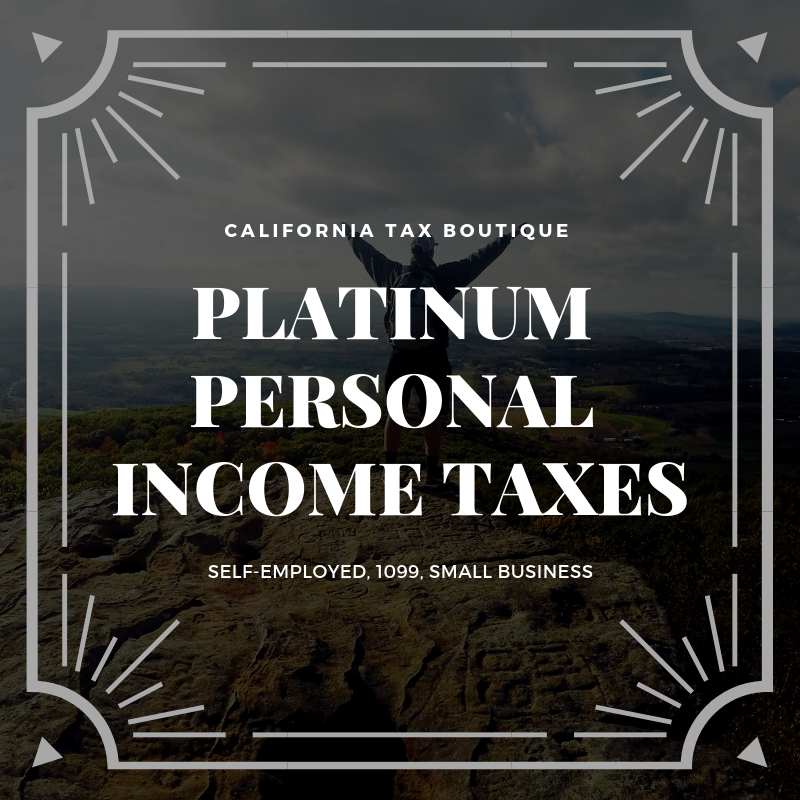 While most tax preparation firms will not post their tax preparation prices online, we want our clients to understand the model behind our pricing. We pride ourselves on having a clear method to estimate the cost of our fees. Please note, it is important to understand that each client is different and therefore, could be more complex. We believe in fair pricing which reflects the client’s individual situation. 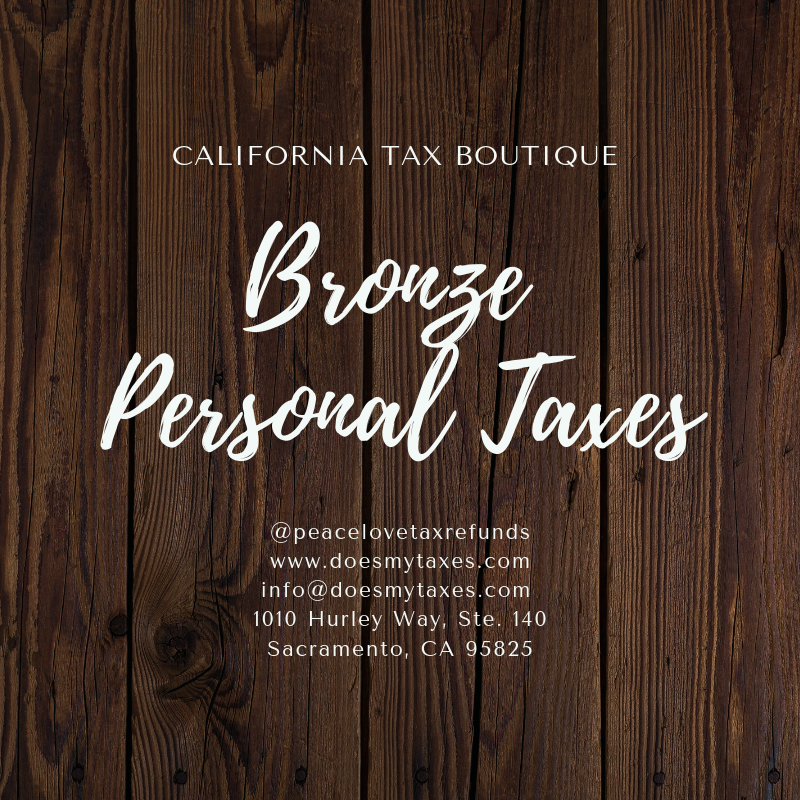 TAX PLANNING FORMS WHERE'S MY IRS REFUND? WHERE'S MY CA REFUND? 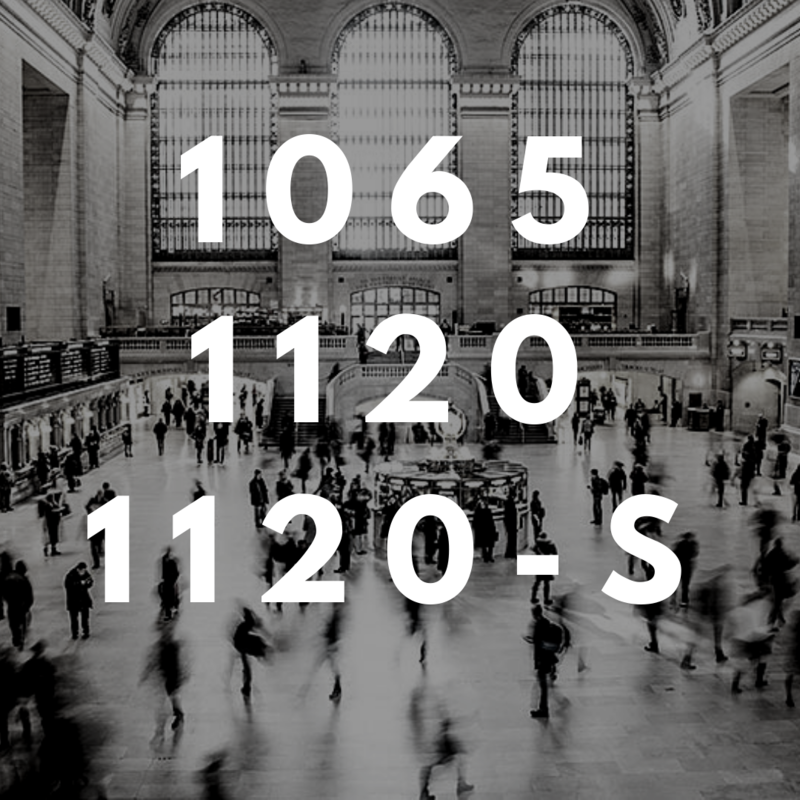 **Most Schedule C filers without a rental property will be towards the lower end of the starting range. If you are more complex and/or have a rental property in addition to your Schedule C, you will be towards the higher end. The forms below will be an additional $75 each. Multiple years of Federal and States taxes. You must have all of your old tax documents. 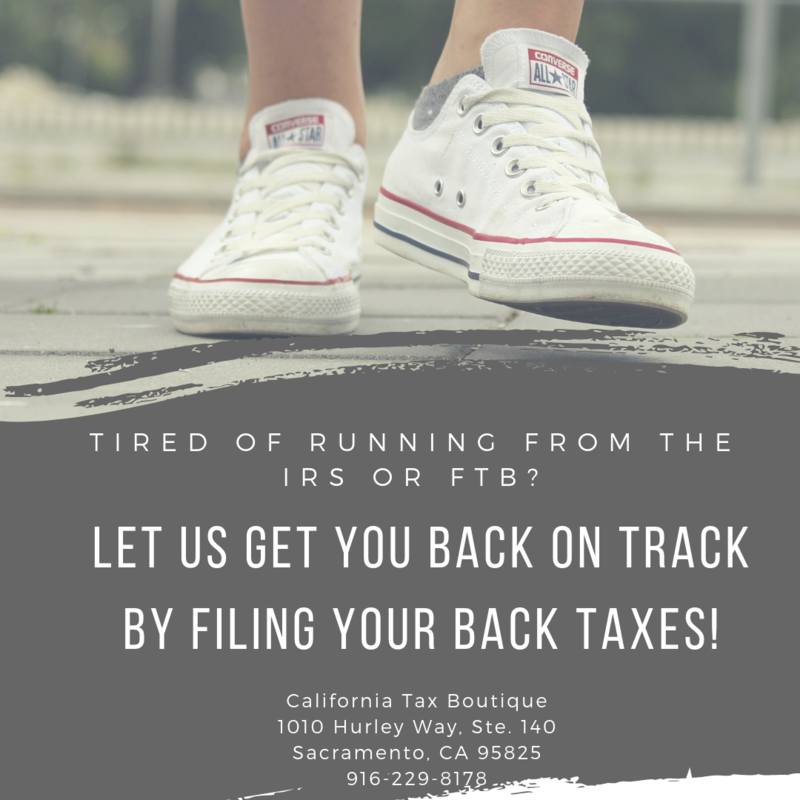 If not, we can obtain your tax transcripts from the IRS and FTB for $75. This service may take up to 2 weeks. 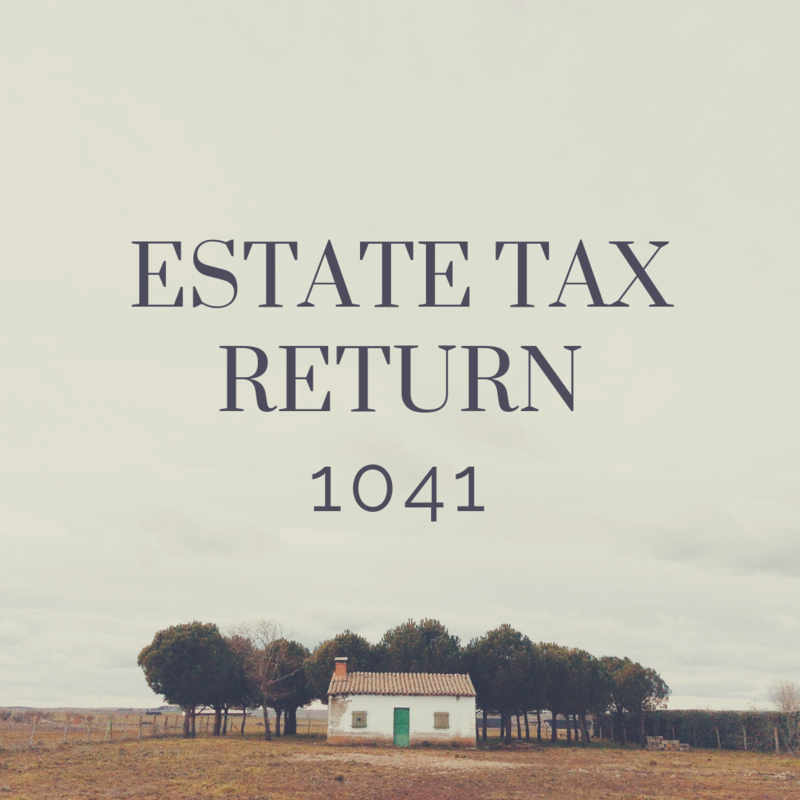 1041 ESTATE TAX RETURN – Between $525 and $1,250, depending on the complexity of the return. MARRIED FILING SEPARATE – Price varies on type of return. 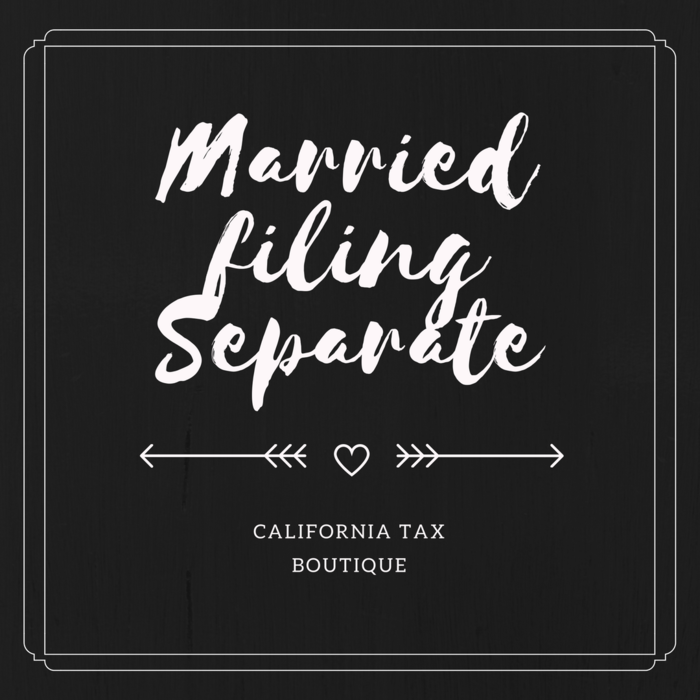 Married filing separate analysis (to determine whether you should file separately) is $125 on top of the cost of preparing both spouses returns. You will incur this cost even if after the analysis you decide to file jointly. 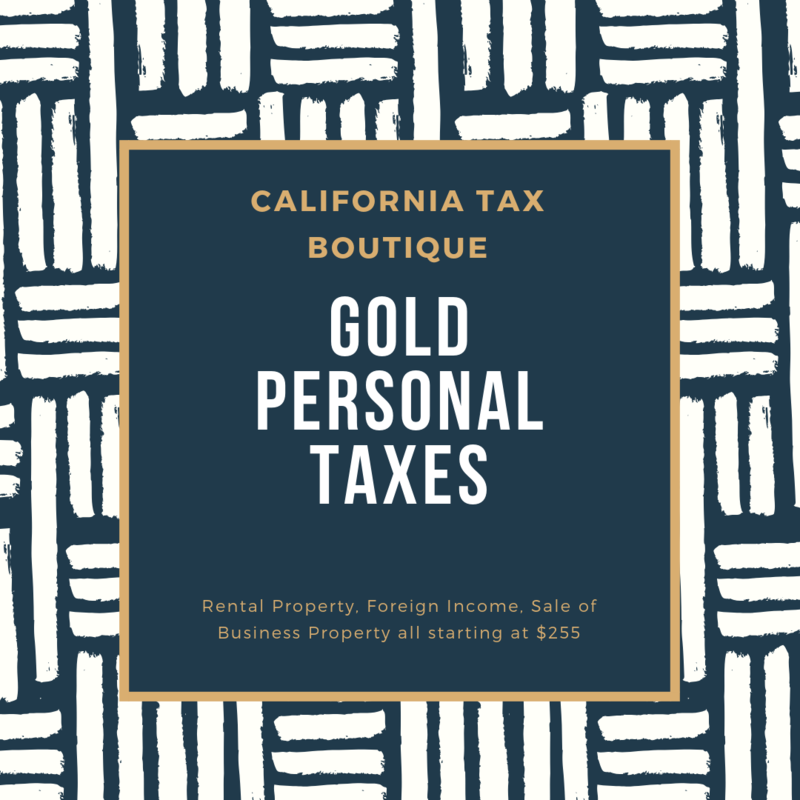 If you do not need an analysis and are 100% certain you want to file separately, you must then decide how you would like to file; community property rules ($310 in addition to cost of separate returns) or by claiming 100% separate property (only the cost of each separate return) There are rules to each. 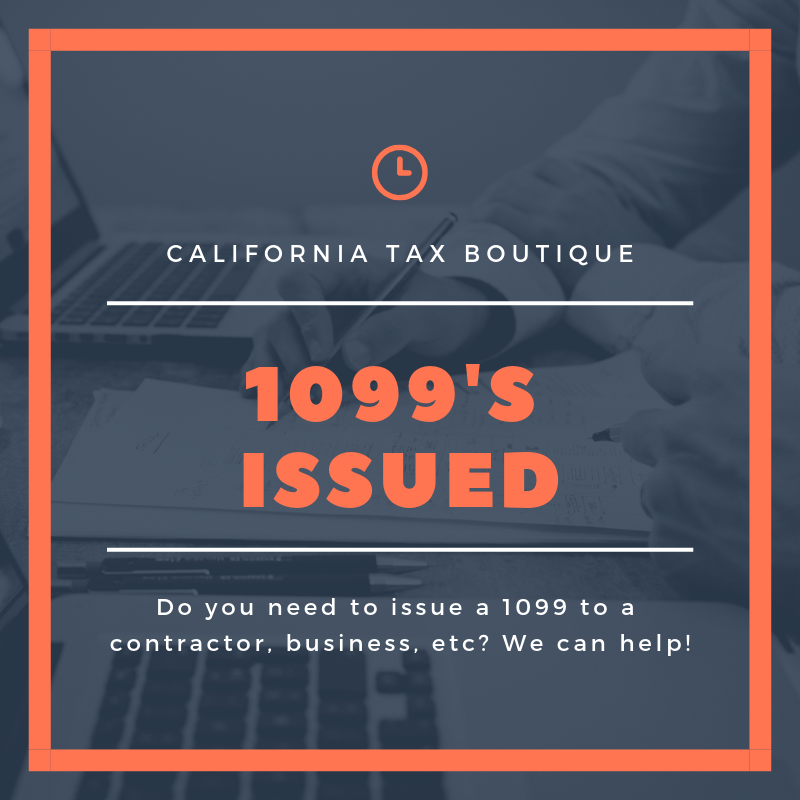 Do you need to issue a 1099 to a contractor, someone you paid over $600 in the year, or to your business landlord? We can help. 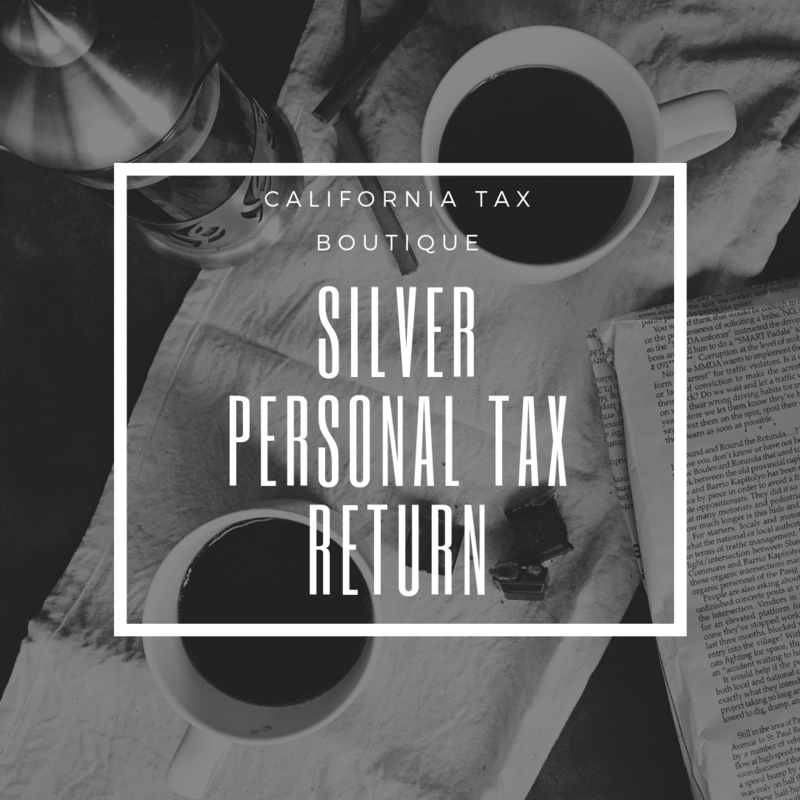 After January 31st, your form is late and you are subject to the $50 IRS late fee. Payment for forms is due before work is performed. 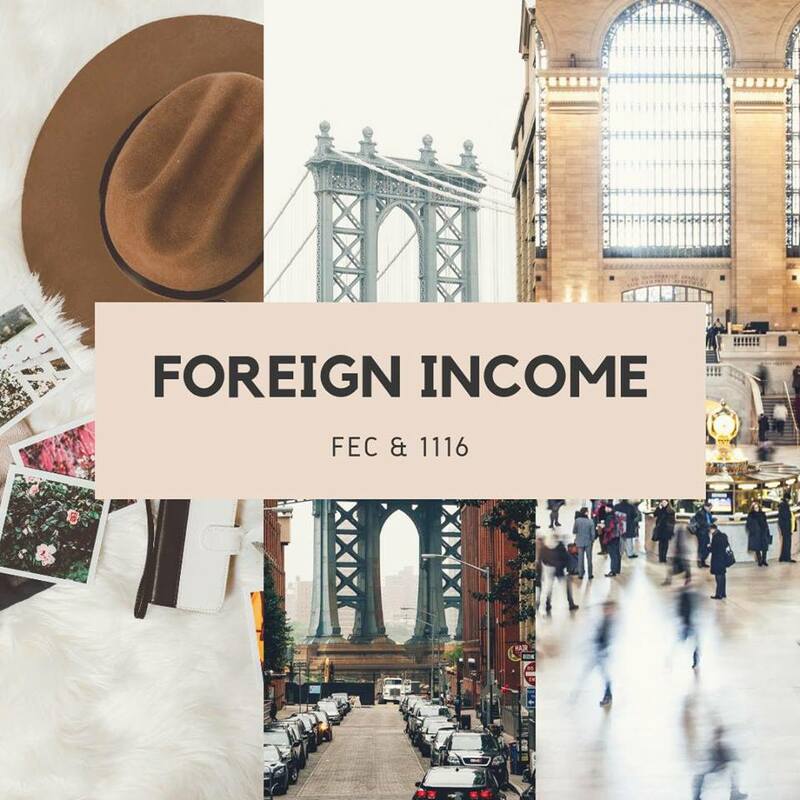 FOREIGN INCOME (FEC & 1116) – Starting at $450. 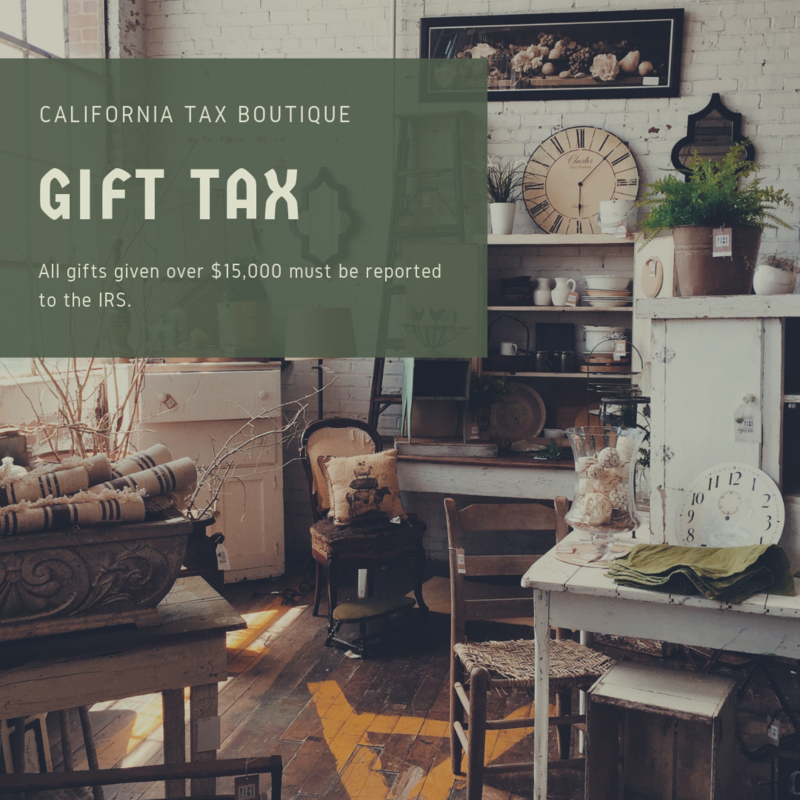 Gifts over $15,000 must be reported to the IRS using a gift tax form. This appointment is for future planning purposes only. Price depends on gross receipts and complexity of the return. Business Extensions $50. Please be advised that if you need a business extentison, you will likely need a personal extention as well. If you extend both, the price is $60. Price depends on the complexity of the amendment. We accept cash, check, debit, and all major credit cards!